Welcome to the Cultural Synergies March 2008 newsletter. Last month I had the good fortune to be in Utah. 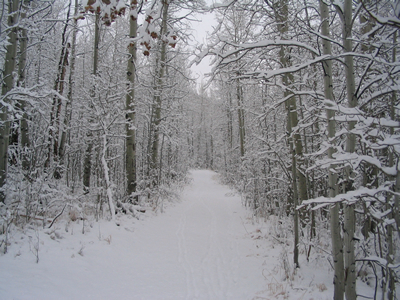 Utah is a state that prides itself on having the tallest peaks in the country � and after driving around the base of one of those peaks blinded by snow I�d say that is a valid claim. After a long flight I wearily picked up my hire car and looked forward to getting to my hotel room as quickly as possible. As I began driving my hopes of a quick, scenic drive up the mountain were dashed. My challenges were not only driving a left hand drive car on the �wrong� side of the road but they were compounded with having to navigate my way through unfamiliar territory and a practical �crash course� (hopefully without the crash!) in driving in heavy snow. Panic set in quite quickly as other cars around me were overtaking and driving at a much faster pace than my uncertain crawl. With the thick snow falling and blanketing the windscreen, visibility was almost non-existent. Given my unfamiliarity with the road contours and its surrounds, I couldn�t pre-empt turns and bends and had to rely heavily on what little I could see and my own instincts. By the time I had finally reached the hotel where I staying it had taken me 3 hours to drive what should have taken 1 hour. I was so exhausted from the intensity of the drive that I went straight to sleep. When I woke the next morning I suddenly realised with great angst that I was going to have to drive on a daily basis as long as I was in this city. However to my amazement it didn�t actually take me very long to become reasonably confident at driving in these conditions. By the time I returned the hire car I had progressed to driving with the radio on and was in a much more relaxed state. Having to drive through new territory with the basic skills, which in my case was probably not much more than the knowledge of how to drive a car and read a map, is not that dissimilar to the scenario of working in unfamiliar territory such as working virtually across borders. In most cases it is new territory. Although you may not have previously worked in, or managed virtual teams, you do have some core strengths and skills to call on. The challenge is usually to maintain sufficient flexibility so that your core skill sets can be adapted and finely tuned to compliment the demands of new work practices. In order for you to do this successfully you need to be constantly aware of your surroundings so that you can be mindful of the systems and practices that do and don�t work in various countries. Time breeds familiarity and with that comes ease and confidence. Working in virtual teams requires you to always have your �antenna�s � up so that you can be aware of what is going on around you, particularly the subtle things that are under the �iceberg�. Trial and error and the provision of room for mistakes are essential elements in any new venture. Working with a team of people you have never met face to face, together with different work environments and often vastly different cultures requires a high level of constant awareness, consciousness and learning. As I think about the drive through the snow I realise that it was only my heightened state of awareness that really helped me to improve my confidence which in turn allowed me to adapt and improve my driving skills. It was because I was in this state of mind (which I don�t recommend for extended periods) that I learned how to navigate my way through safely. As working in virtual teams across borders becomes more widespread we need to be attentive to our surroundings and the things that are under the iceberg so that we can improve and develop new and existing skill sets that will ensure success. If you don't already know 17-23 March is Cultural Diversity Week in Victoria. The week also marks the United Nations International Day for the elimination of Racial Discrimination. Check out www.culturaldiversity.vic.gov.au for more information. 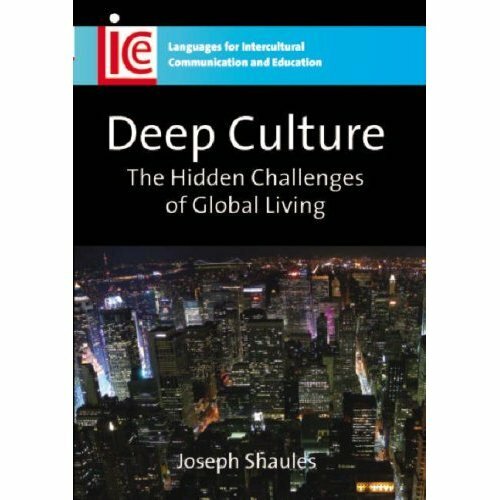 Deep Culture: The Hidden Challenges of Global Living: Joseph Shaules. (Multilingual Matters Ltd) 2007. Deep Culture travels through the cultural learning processes that sojourners go through as they adapt to new challenges of living in a country other than their own. Shaules claims that even though globalisation has brought diversity upon us, more often than not we don�t actually have to adapt in any significant way � that is until we travel. When we travel abroad Shaules suggests that there is commonality amongst those who enter into a new cultural environment, in that the learning processes and demands are fundamentally the same. Deep Culture introduces a useful model that helps to make sense of these processes and provides some excellent �real life� examples and experiences. Shaules makes the distinction between surface and deep cultural experiences that are central to understanding the reactions people often have. This is a great book for anyone working across cultures or living abroad.